With these fall themed vocabulary flash cards, you can play fun games with your little ones. Download worksheet, print it and cut out flash cards. 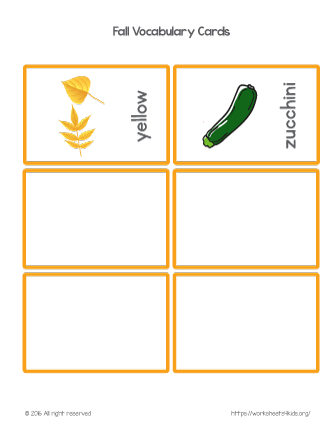 The last set includes two words: yellow and zucchini.